The Neighbourhood’s music is opposite of your typical '90s boy band, but the screaming, die hard teenage fans are quite similar. At their packed show last Wednesday evening, the Metro was overflowing with fans just like that. 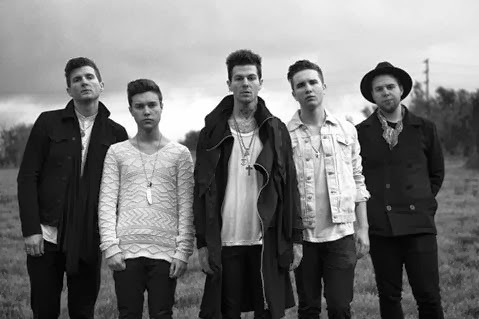 I did not know that the Neighbourhood’s music was so appealing to the teenage population, but their show introduced me to their biggest fans. It all made sense to me quickly. As I squeezed my way to the third row, I stood next to a teenage girl who was there by herself and spent more time snap chatting her friends then watching the show. Her snap chats were about how annoyed she was that a tall guy was standing in front of her blocking her view of Jesse Rutherford, the gorgeous and talented lead singer. This made me wonder, were these teenage fans there to drool over Rutherford? Or did they actually appreciate the music? As the night continued, it was clear- they were there for both. The Metro echoed with the off pitch voices of hundreds of teens singing at the top of their lungs--to songs they could relate to their hormone filled lives. Even though I am not a teenager, I thoroughly enjoyed the show. Rutherford is a true crowd pleaser. He was dancing and engaging the crowd with his funny stories and beautiful voice. A highlight was an unexpected cover of “Say My Name” by Destiny’s Child. Throughout the show, Rutherford was the only band member that appeared to be having any fun. The other band members appeared unenthusiastic, very drab--keeping up The Neighbourhood’s brand of “black and white." Check out their new music video for "Afraid"!